By one account, incidents of disruptive behavior or unruly passengers are decreasing. But as even one such incident can produce catastrophic onboard consequences, airlines continue to include unruly behavior in their cabin crew training programs. The air carriers are also getting help from training providers to provide this training. While attention-getting incidents of passenger bad behavior gain air time or space in the print media, there is a decreasing trend of these episodes. Paul Berry, the spokesman for Spirit Airlines, provided one airline perspective on unruly or disruptive passengers and the imperative of security training in the current operating environment. “When you transport almost 60,000 people a day, odds are you’re going to need to remove disruptive passengers on a daily basis. It is important that disruptive passengers are dealt with on a consistent basis and removed from the aircraft as quickly as possible to prevent further disruptions and delays for the rest of the customers on the aircraft.” The industry media expert further noted, “There are always challenges in the airline industry when it comes to security. No matter when a threat is identified it is the duty of our crew to protect the safety of all of our customers and take appropriate action each time. Even one mistake could be disastrous.” Of interest, a spokesperson at a second North American-based airline told this author, “The percentage of ‘bad behaviors’ is so small, even discussing them exaggerates the magnitude of the issue.” After that pronouncement, the veteran spokesperson did note his airline cabin crews receive disruptive passenger-related instruction in their initial and recurrent training. Indeed, data gleaned this January 13 from the FAA website www.faa.gov/ data_research/passengers_cargo/unruly_ passengers/ pointed to an unmistakable, recent downward trend during the last four calendar years in instances of unruly passengers: 2012 – 183; 2013 – 150; 2014 – 145; and 2015 – 82 (as of January 7, 2016). Of additional significance, the FAA’s tally of these incidents has an important caveat – the administration’s database contains only those incidents reported to FAA. Reporting is at the discretion of the crew member. The downward trend aside, with a continued, persistent threat of an unruly or disruptive passenger emerging on a flight throughout most of the community’s networks, air carriers continue to mandate training for their cabin crews as well as pilots on the topic, which in some instances is furnished by simulation and training industry companies. Spirit’s Berry noted that due to security limitations he could only discuss generalities and not specifics on any aspect of his airline’s security training. He nonetheless offered that a mix of learning methodologies – live classroom scenarios, distance learning and others – enable cabin crew training. He continued, “All pilots and flight attendants are trained in how to deal with disruptive passengers. The focus on the training is the safety of all people on the plane, the other passengers and members of the flight crew.” Airlines often look to the simulation & training (S&T) industry to deliver high fidelity training to its flight attendants and other training audiences. One S&T community “snapshot” of its offerings was provided by CAE,ö which provides unruly or disruptive passenger training as part of its broader cabin crew training programs. CAE’s cabin security training is delivered in both a classroom and cabin mock-up environment. Key training topics include problem solving and communication skills which are typically delivered in a classroom and complemented by training to restrain passengers, learned as a means of last resort, which is mostly delivered in a “smaller” cabin mockup environment. Initial security training is half a day and recurrent training is typically provided every one or two years (3-4 hours session). The company furnishes aviation training to cabin crew in Asia through AACE (Asian Aviation Centre of Excellence) a joint venture operation with Air Asia of Malaysia, Asia’s largest, and a well-known, low cost carrier. Based in Kuala Lumpur, AACE holds regulatory approvals from various national aviation authorities including the Department of Civil Aviation of Malaysia as well as aviation authorities from Singapore, Thailand, Indonesia, Philippines, India, Japan and many more. Frederic Morais, the marketing leader in the Civil Aviation Group at CAE, pointed out that in Asia, “Unruly Passenger Training” training content is folded in a course known as HATDP (Handling Act of Terrorism and Disruptive Passengers). “This course is delivered today to Air Asia Group airlines cabin crew members operating from Malaysia, Indonesia, India, Philippines and Thailand,” Morais explained. Two classes are currently delivered per month in Malaysia and India, training over 30 cabin crew members per month. CAE also supplies training to cabin crew in Europe to a wide range of airlines under the approval of the Danish Civil Aviation Authorities covering all CAE training locations within Europe. CAE main cabin crew training centers in Europe are located in Copenhagen, Madrid, Stockholm, Amsterdam and Oslo and include up to 15 airline cabin mock-ups. In Europe the program is provided both as a standalone program and as an integral part of initial and annual recurrent training. 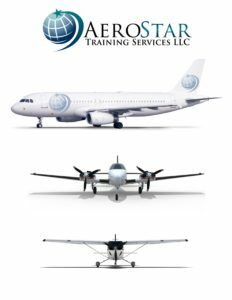 Morais further noted CAE’s training program for unruly passengers translates the theoretical knowledge and requirements into practical, workable and effective tools that work in reality. “This is especially important for airlines since security is an important and present topic today and will continue to be in the future. The training is a combination of classroom theory and practical cases in cabin training simulators with figurants to ensure maximum realism,” he added. CAE’s security training is furnished to some of Europe’s large airlines, including SAS, Vueling, Volotea, Iberia Express and Air Europa. On average more than 1,000 cabin members per month are trained in CAE’s European training centers. A second S&T company provider of cabin crew training is AeroStar Training Services. The firm’s overarching flight attendant training program has been designed and is instructed by industry professionals with many years of flight attendant and airline training experience. “The content of our program and the training we provide exceeds the minimum standards set forth by the FAA. Our training program will provide you with the knowledge necessary to perfect your skills and abilities as a flight attendant with complete confidence and the highest level of safety,” Bryan Pilcher, the company’s Marketing Director told CAT. The program is a 3-day, 24-hour hands-on course taught at AeroStar’s Training Center in Kissimmee, Florida. Two of the many topics taught in the 3-day program include security and personal defense training. AeroStar’s syllabus for passenger misconduct policy is straight forward, addressing misconduct through its different phases. At the lowest level of bad behavior, the aspiring flight attendant is taught to: listen to individual; provide information as necessary; and attempt to solve the problem if possible. Bryan Pilcher noted the fact that a passenger becoming upset or irate is not reason enough to deny transportation; however there may be situations when a passenger’s behavior indicates the safety of the flight may be at risk. He emphasized, “AeroStar’s ultimate concern is to ensure the safety of passengers and crew at all times and operates a policy of zero tolerance to those who may endanger the safety of passengers or crew.“ Training strategies evolve as the passenger exhibits disruptive behavior during flight. In those instances the student is taught: a flight attendant immediately notifies the captain; the captain advises the flight attendants on determining the best way to handle the situation; and if disruptive behavior escalates and becomes threatening, threat level procedures are followed. The industry spokesperson concluded, “Threat level definitions, conflict management techniques, and procedures for handling the varying threat levels that affect the security and safety of flight are found in our flight attendant manual (FAM). If it is necessary to use restraint kit, procedures for use are found in the FAM as well.” While CAE and AeroStar were the only two companies agreeing to speak with the author on this topic, other S&T businesses are entering this market space.